Feeling grumpy as you get out of bed in the morning? Did you get your full eight hours? 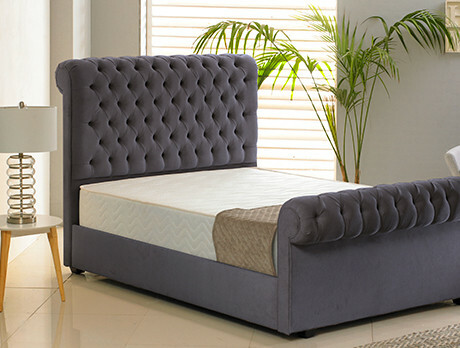 Ensure you enjoy a sumptuous slumber every night, thanks to our showroom of mattresses and cushioned frames from ‘forty winks’ experts, Windsor. With velvet-clad headboards and pocket sprung foundations on offer, there’s no such thing as the ‘wrong side’ with this edit.